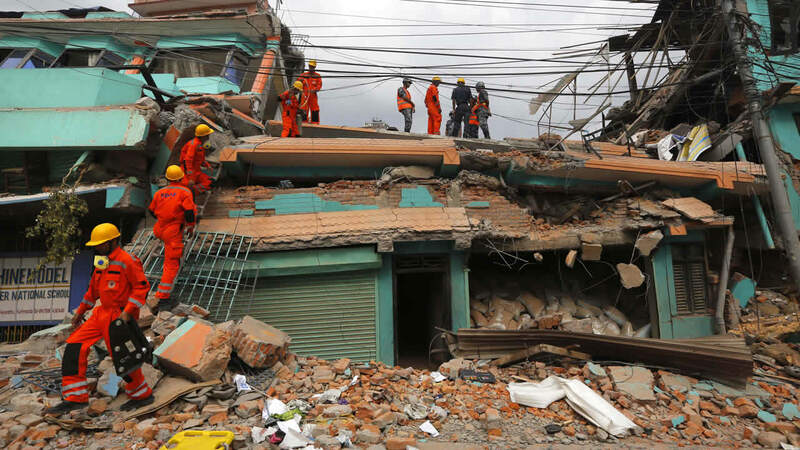 KATHMANDU, Nepal -- Police in Nepal say the death toll from last weekend's massive earthquake has climbed past 7,000. National police officer Babu Kanji Giri said Sunday that the death toll had reached 7,040 as more bodies are found in the debris. Some 14,123 people were injured in the April 25 quake. Of them, 6,512 are being treated in hospitals.